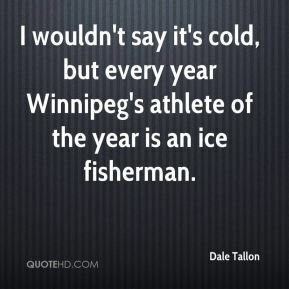 I wouldn't say it's cold, but every year Winnipeg's athlete of the year is an ice fisherman. 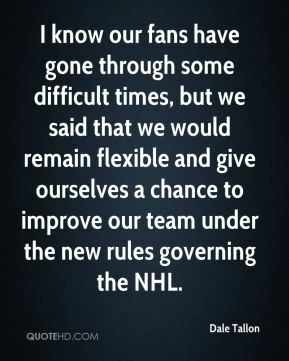 I know our fans have gone through some difficult times, but we said that we would remain flexible and give ourselves a chance to improve our team under the new rules governing the NHL. 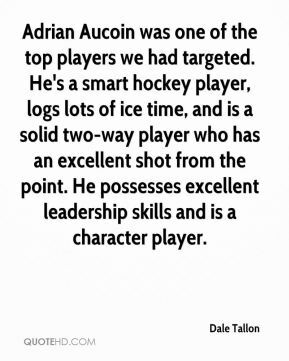 Adrian Aucoin was one of the top players we had targeted. He's a smart hockey player, logs lots of ice time, and is a solid two-way player who has an excellent shot from the point. He possesses excellent leadership skills and is a character player. This is a new beginning for us, ... We've been very happy with the people we were able to acquire. 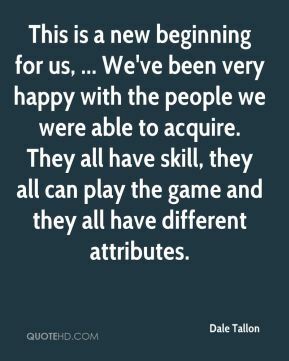 They all have skill, they all can play the game and they all have different attributes. It boils down to how quickly they feel comfortable with me and me becoming a well-rounded general manager. If I grasp everything, all the ins and outs of the [collective bargaining agreement] and contracts, I have a chance to move up. 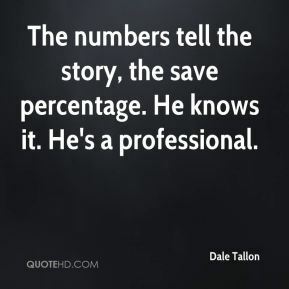 The numbers tell the story, the save percentage. He knows it. He's a professional. I'll listen to anything on anybody. That's just the way it is. I'm not going to put up with it. Enough is enough. 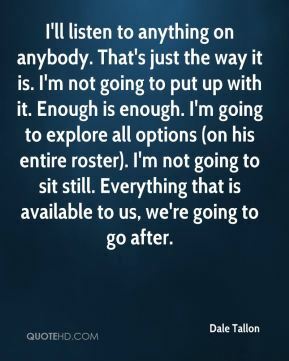 I'm going to explore all options (on his entire roster). I'm not going to sit still. Everything that is available to us, we're going to go after.